This month I am thankful for: the ability to visit Savannah with Alex (for the first time together). I've been there once before and Alex used to live there for many years. It will be nice to have him show me all of his old haunts. I'm also really excited to see how much he loves being back there. listening to Lake Street Dive's newest album "Side Pony"
Create your own list of love. You can write it in the comments below or make your own post. If you do make a post, be sure to leave the link to it in the comments section. I can't wait to see your lists! Also, you are more than welcome to use the image above on your blog post - just make sure to credit me. 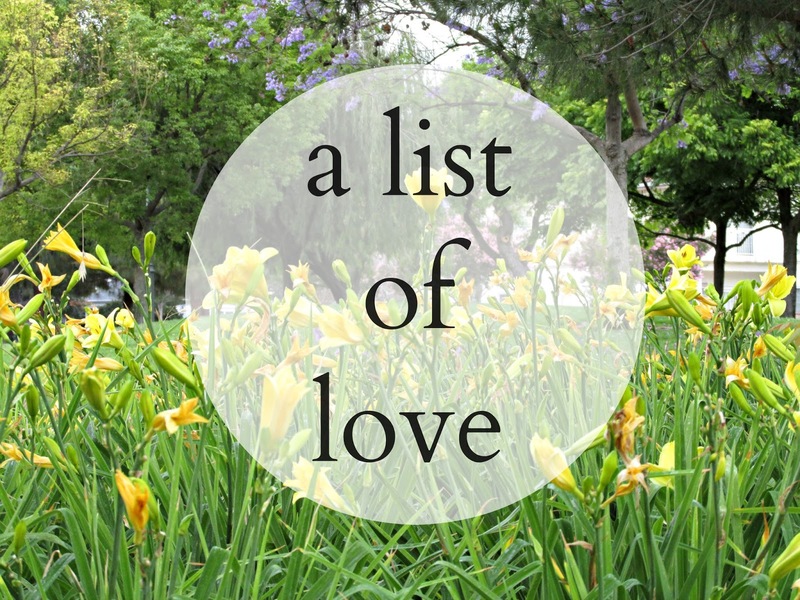 You can view all of the other lists of love here. You and Alex dated in high school?! How absolutely cool is that! I enjoyed your thankful list!